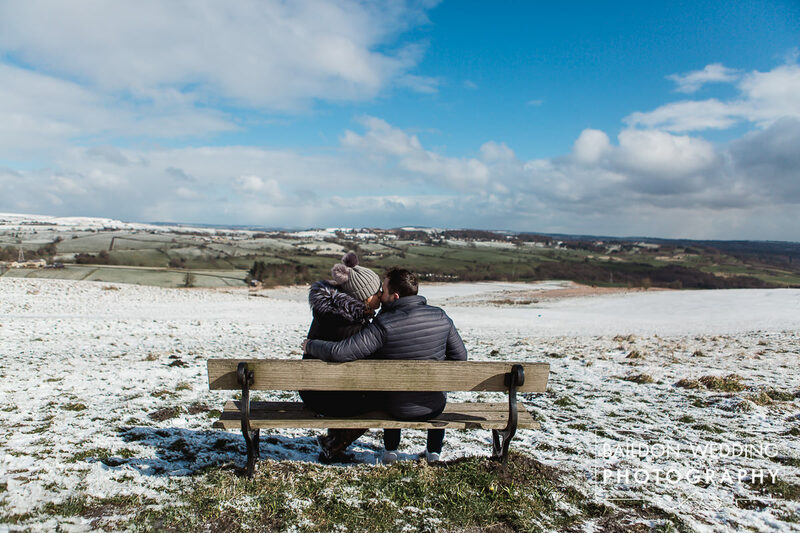 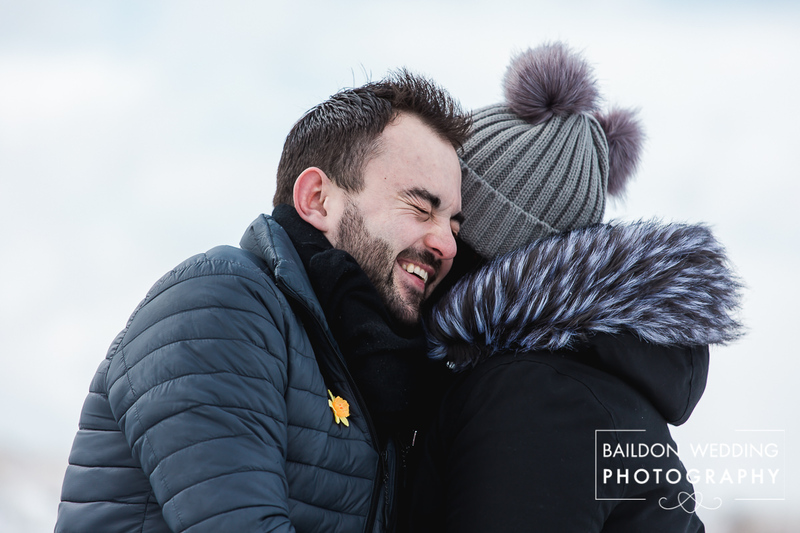 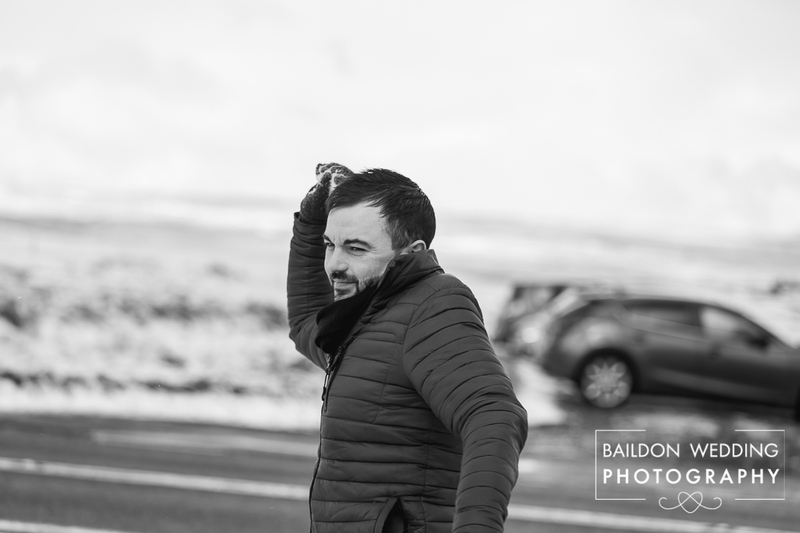 On the drive over the Yorkshire Moors in Baildon to meet at our planned location, I was blown away by the wintery scene and asked the couple if they would mind meeting there instead. 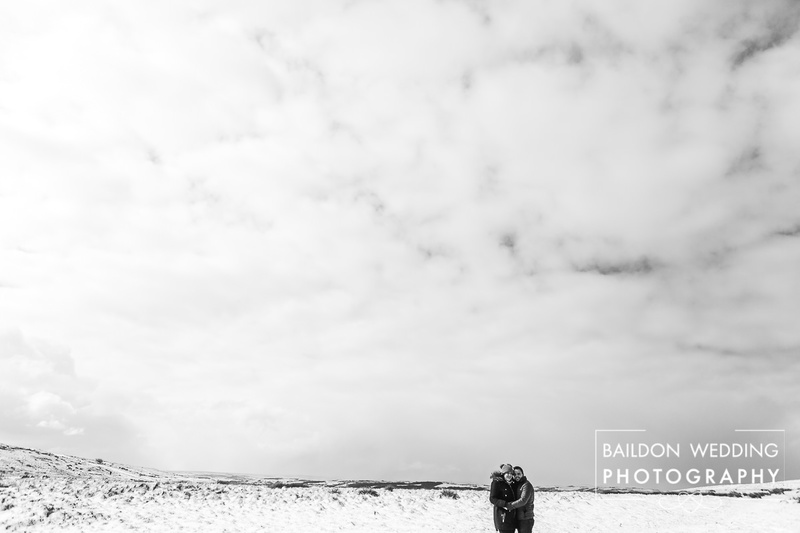 Sat inside a car Baildon Moors looked beautiful. 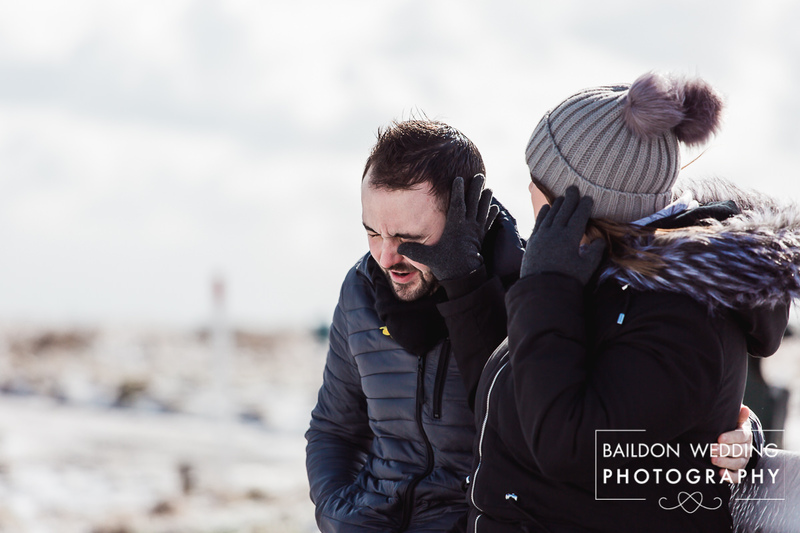 However, we soon discovered the winds were unrelenting and freezing. 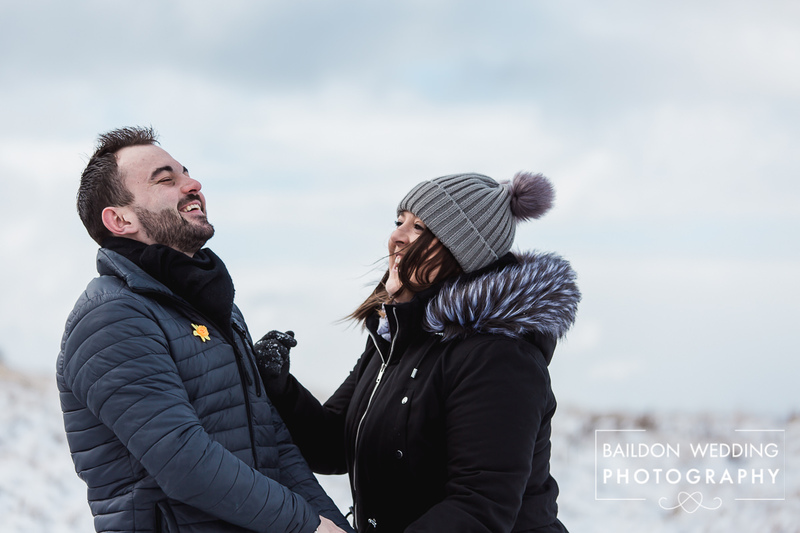 We got a few shots, warmed up inside cars and went for it again. 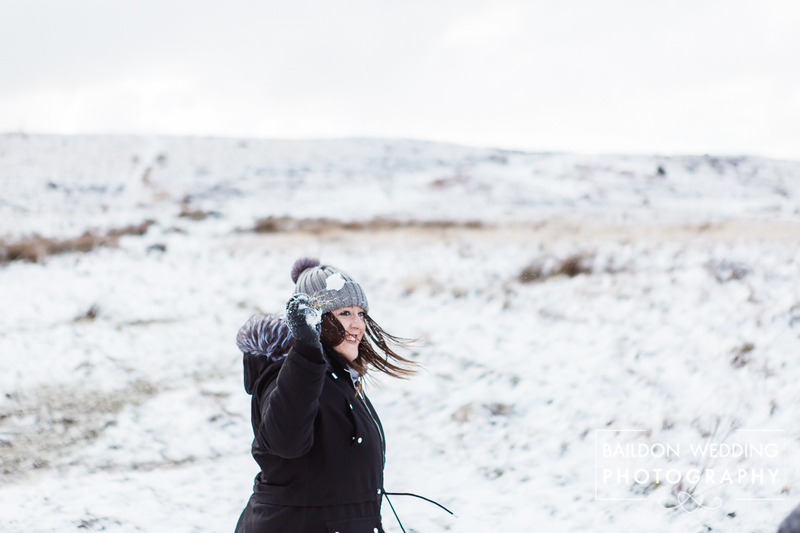 We decided the temperature was too cold, so popped to The Old Glen House to defrost with hot chocolate and to finish our shoot once we could all feel our fingers again. 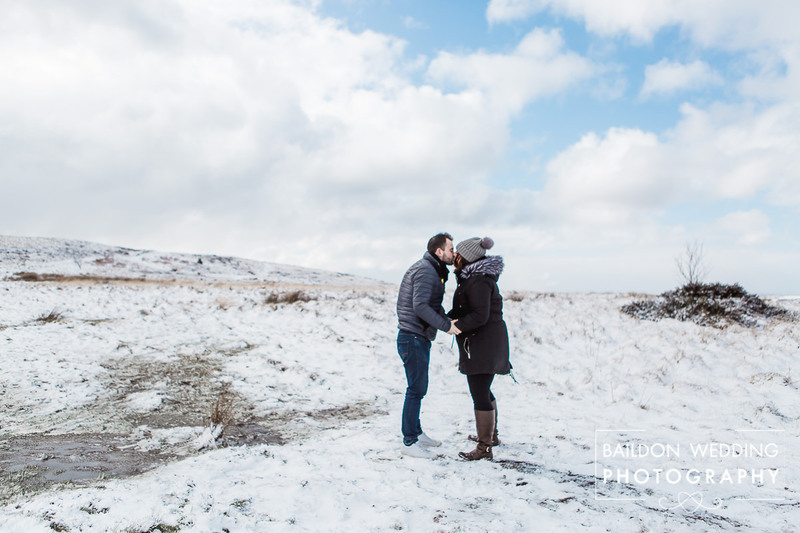 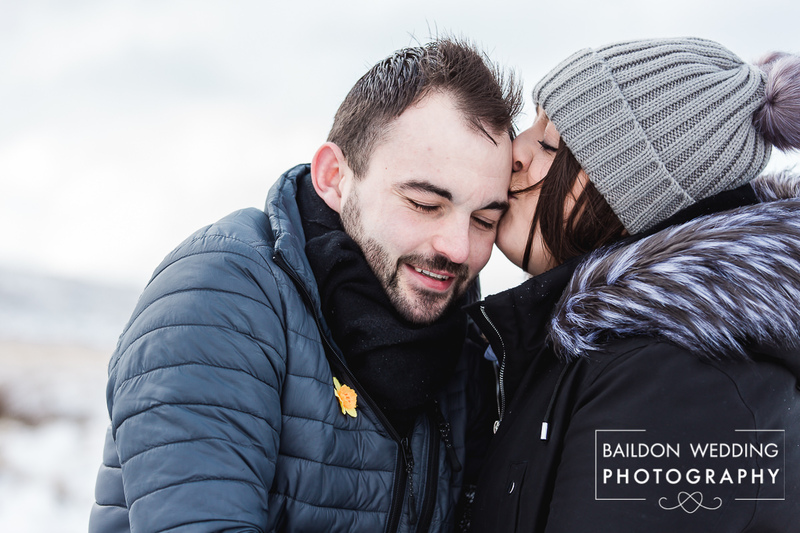 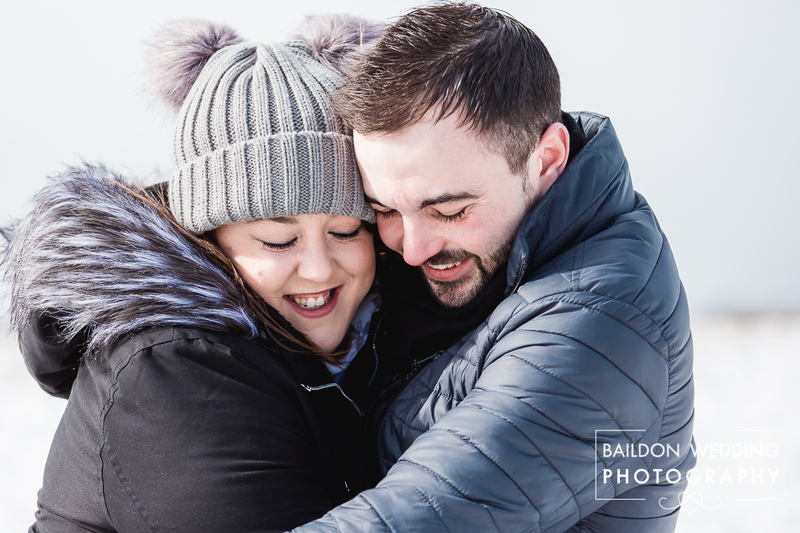 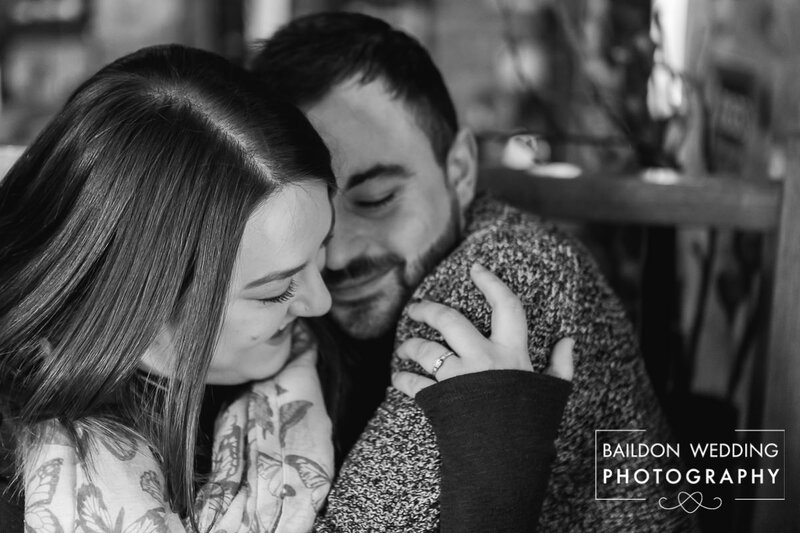 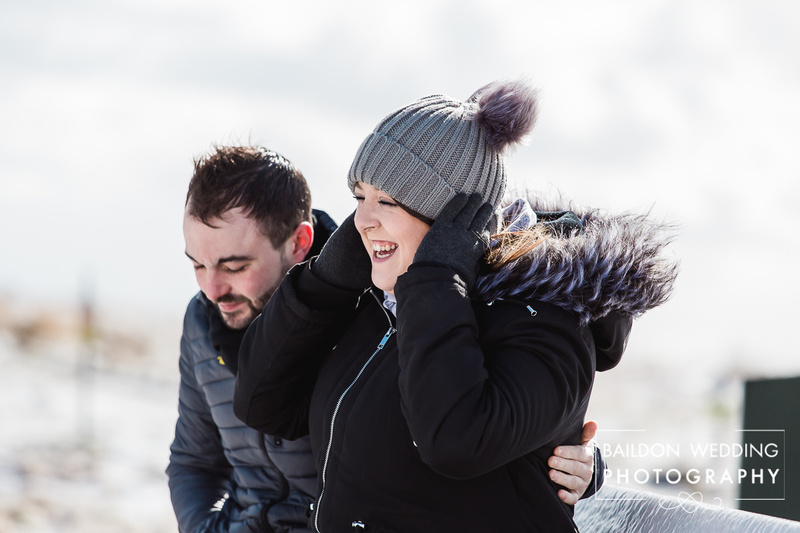 Thank you so much Adam and Nikki for braving the horrendous weather on the Yorkshire Moors to get some beautiful pictures in the snow. 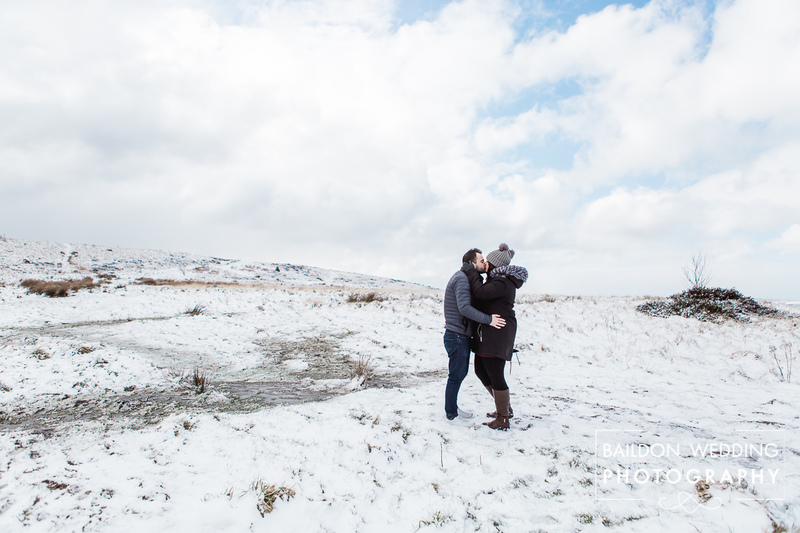 I am extremely grateful we were finished before the later blizzards took place!